The complex exponential and logarithm functions can be visualized by looking at the real and imaginary part of the function and its absolute value. 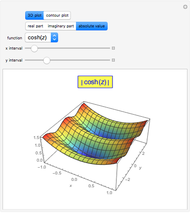 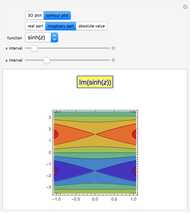 Other combinations of the exponential functions such as the trigonometric sine and cosine, or the hyperbolic sine and cosine can also be visualized. 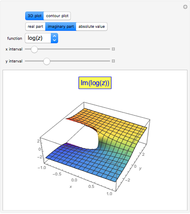 Alain Goriely "Complex Exponential and Logarithm Functions"